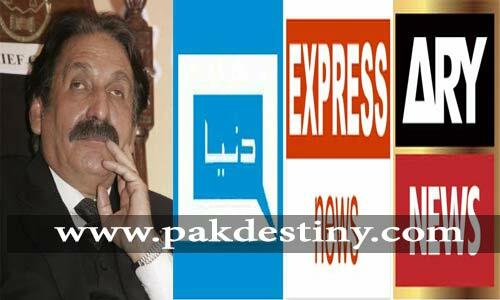 By Kiran Bokhari Islamabad, Oct 31 (Pak Destiny) Jang/Geo group today accused Sultan Lakhani’s Express Media Group of “supplying women and wine to government officials and other influential people to get favour”. 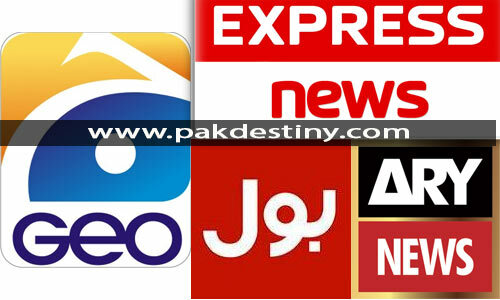 Which channel – Dunya, Express or ARY -has received Rs300 million from the govt secret funds? By Iram Salim Islamabad, Feb 6 (www.pakdestiny.com) Following in the footsteps of Jamia Hafsa, Express TV raided a Chinese Massage center in Defence Lahore to expose “prostitution”. By Kiran Bokhari Islamabad, Dec 22 (www.pakdestiny.com) PTV Managing Director Yousuf Baig Mirza has joined the ‘crying chorus’ of Pakistani drama artistes against Turkish plays.